And now Anthony Rowlinson picks eight! OK. Round two. The Petronas Malaysian GP at the wonderful Sepang circuit (designed by Hermann Tilke). Heat – lots of it. Humidity – too much of it. Possible rain – torrential. Long straights – tough on the new engines. Fast ess-bends. Hairpins. Hard braking. Dragster acceleration bursts. Regular readers of this site will be familiar with the GP Tours logo to your right. It’s there because I’ve been a GP Tours fan for many years. I like the people who run the business from Newport, California, and I like the tours they generate. They’re about race fans travelling with other race fans to some of the greatest circuits in the world – Monaco, Spa, Silverstone, Austin and many more. What I’m particularly excited about this year is a new free-to-enter competition they’ve put together, the prize for which is a fully-catered trip for two to the 2015 Monaco GP. How to win? 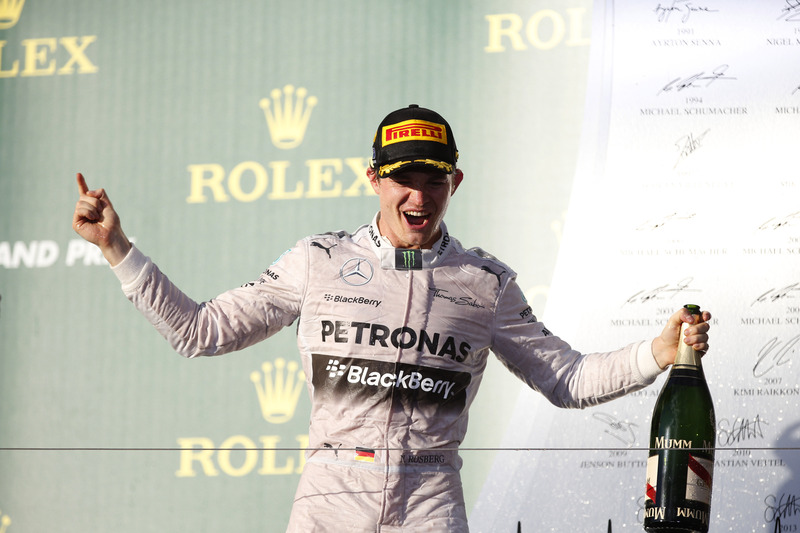 Choose your top eight finishers for each of the 2014 F1 races; points will be awarded when you select the right driver for the right finishing position, with bonus points if you make your choice prior to FP1 or Q1. Go to http://www.gptours.com/pick8 for more details – and where you’ll find the list of runners and riders and your entry form for the 2014 Rolex Australian Grand Prix. Who to select for Melbourne? On our YouTube Channel (www.youtube.com/peterwindsor) you will find recent interviews with three of Autosport’s top journalists – Edd Straw, Glenn Freeman and Ben Anderson. I asked all three to predict their AGP winner, so that should be of help. Obviously Rob’s counting on a few of the fancied runners (Lewis, for example, and Fernando) having mechanical dramas and he’s also clearly discounting the Renault runners at this stage (although he did nominate Daniel Ricciardo to finish P9). Anyway, that’s Rob’s list. Now you have a go. There are 20 races from which to accumulate points, so don’t be too discouraged if you don’t get it right first time. (Indeed, seeing as how I think Lewis is going to win in Melbourne, I guess this is something I should be saying to Rob!). Disclaimer: Although I’m a GPTours fan, I should make it clear that I work with the company at selected races on the F1 calendar, talking to the guests and interviewing drivers. He was an American in Europe, a racer to his fingertips. The previous fall he out-qualified Graham Hill at Laguna Seca. 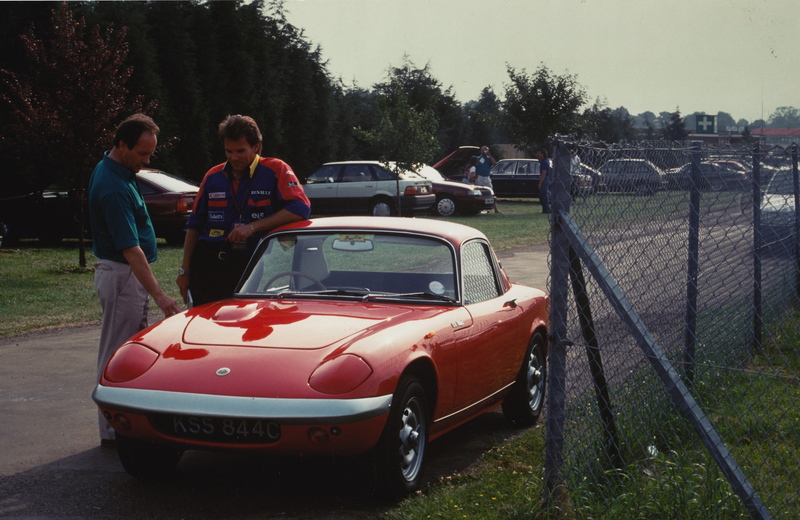 Both were in Lotus 23 sports cars; both were on the limit. In Europe, etching his name in Formula Junior and even in factory Minis, he was always there. He and Peter Revson. Two “East Coast crumple” American stars-in-the-making. 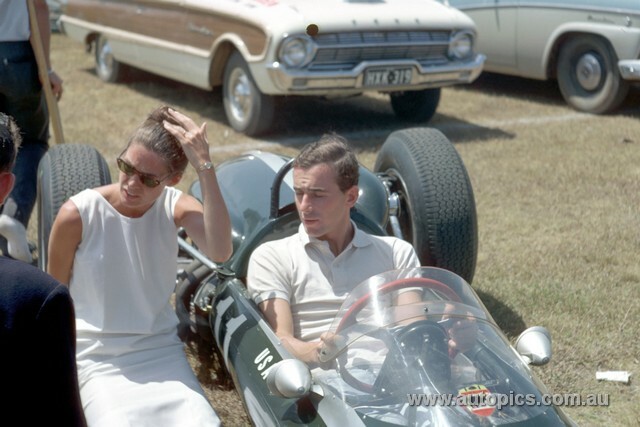 It was his brother, Teddy, who first suggested it to Bruce McLaren. Why not run Timmy Mayer in a second Bruce McLaren Motor Racing Ltd Cooper-Climax in the inaugural (1964) Tasman Series, in New Zealand and then in Australia (January-February)? The Mayers would help with the finance and Timmy would bring with him his mechanic from the American sports car races – Tyler Alexander. Bruce liked the Mayers and he liked Tyler. The deal was quickly done. 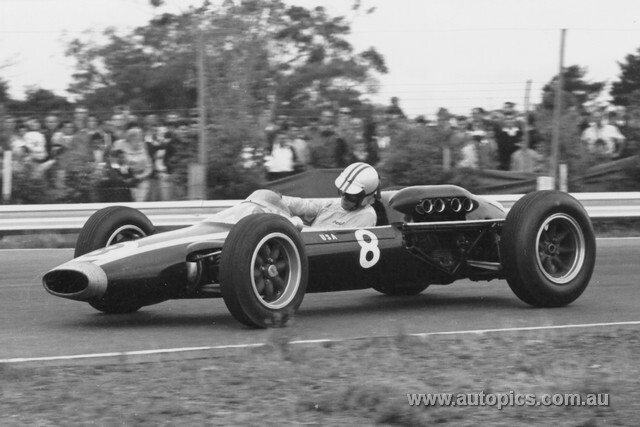 And Timmy was quickly on the pace in NZ that January, 1964 – right up there with Bruce, his mentor, Jack Brabham, Denny Hulme and the brilliant Australian local, Frank Matich. He led for a while at the opening Tasman round, at Levin. He almost dead-heated with Bruce for the win at Teretonga. And then on February 22, at Lakeside, Queensland, three days before his 26th birthday, Timmy qualified his Cooper on the front row. On Sunday he led the race easily once Matich had retired – and before he, too, was obliged to stop trackside with a blown engine. I saw Timmy race at Warwick Farm, in mid-February, 1964. Tip-toed behind the spectator fence, neck craning, I was struck by Timmy’s almost-straight arms and by his light blue Dunlop overalls flapping in the slipstream. His helmet was white, with two vertical stripes and a white peak. He sat quite high in the cramped F2 Cooper cockpit. He qualified just behind Bruce, despite being a rookie at the Farm, and I clearly remember Timmy biffing the back of Bruce’s Cooper right in front of us on the opening lap at Creek Corner. 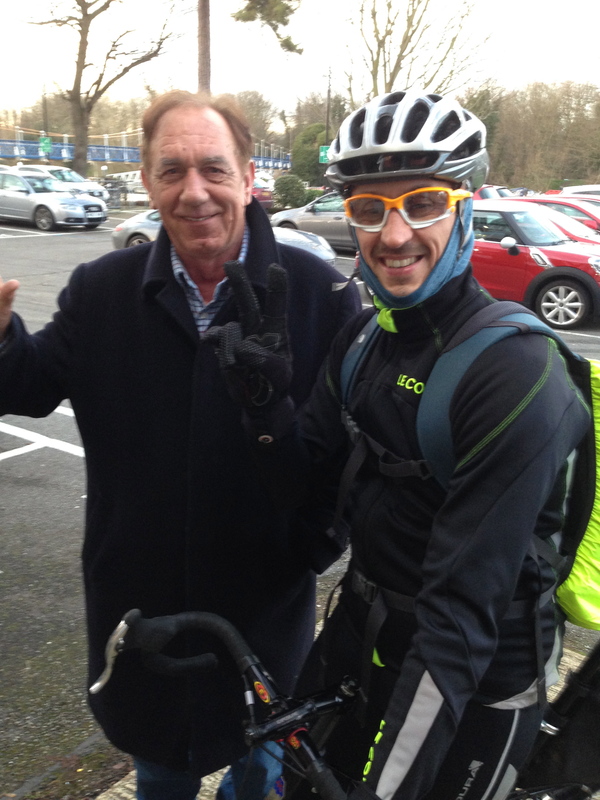 Team leader nudged by his Number Two! Both raced on, though, and finished second and third, albeit with the second Cooper’s nose section all askew. I watched them all afternoon. Timmy always fast, always aggressive, punching the throttle out of Creek, applying the opposite lock with crisp precision. Bruce, by comparison, was only slightly more fluid. Years later, in the company of Geoff Harris, I visited the site of Timmy’s accident. It was a gorgeous Tasmanian day. A light breeze teased the long grass by Timmy’s trees. Down at the pub, on the corner, the beer was cold and the flies lazy. I walked up towards the hump in the road that had triggered the Cooper’s flight. It was benign. This couldn’t be the place. And yet it was. It was the afternoon practice session and Timmy was eager for another front-row start. I pictured him chatting by the car in the grassy paddock, Ford Falcon pick-up trucks nearby, eating a sandwich in polo shirt, sunglasses and shorts. He would have been helping Tyler wherever possible and Bruce would have been around every ten minutes or so, asking if everything was on schedule. Pat McLaren and Garrill Mayer, just 23, would have been wearing headscarves and RayBans, laughing with Bette Hill and Betty Brabham. Then Timmy would have pulled on his Dunlops and helmet, climbed into the Cooper T62, fitted his goggles and set off for another run. Trees, telegraph poles and sharp gutters would have flashed past. The Cooper would have been touching 160 mph on the long straights. It would have flicked from side to side over the bumpy bridges. 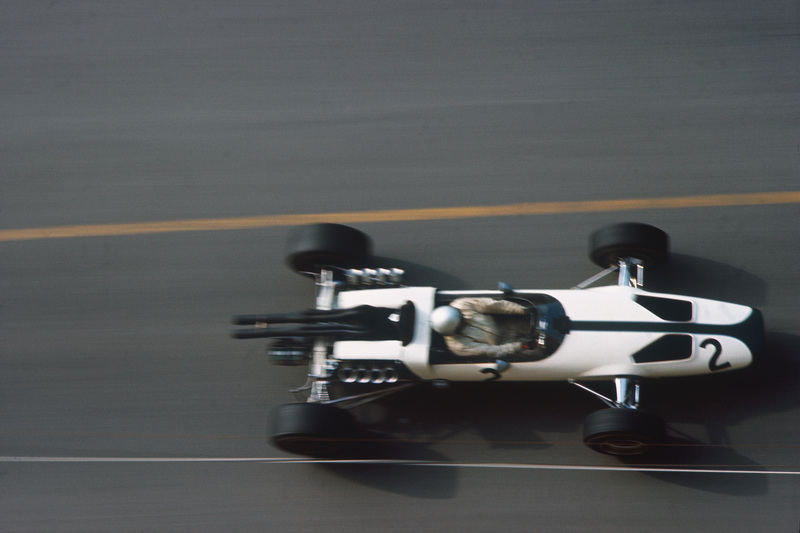 No seat belts and no monocoque chassis. Just a tube frame, a big fuel tank and a vibrating 2.5 litre Climax engine for company. Down the pit straight. Through the Viaduct. Out over King’s bridge. The Union Street straight leads then down to Pub Corner, a 90deg right. The trees are plentiful now, either side of the track. Top gear. Can he fly the hump without braking…..? We’ll never know what really happened. Was it a gust of wind? Did he land less-than-square? Did he brake upon landing, at just the wrong moment? It was over in an instant, in the blink of an eye. The Cooper slewed sideways into a 15ft plane tree (recalls Barry Green in his excellent book, Longford: Fast Track Back). The car split into two; Timmy was thrown 50 yds to the other side of the road, instantly breaking his neck.Fifty years ago. A shining light, suddenly extinguished. And yet Timmy would live on – through Teddy, who became a major player in the history of McLaren; and through Tyler, who was, and is, a similar force. Thus we’ll never forget Timmy Mayer – never forget what he would have been – nor the legacy he left to Bruce and, thus, to motor racing. “Intelligent and charming, Timmy had made dozens of friends during his career. As often occurs, to look at him you wouldn’t take him for a racing driver. You had to know him, to realize his desire to compete, to do things better than the next man, be it swimming, water-skiing or racing. “So when, during second practice at Longford, he crashed at high speed and we knew immediately that it was bad, in our hearts we felt that he had been enjoying himself and ‘having a go’. “The news that he died instantly was a terrible shock to all of us. But who is to say that he had not seen more, done more and learned more in his 26 years than many people do in a lifetime? “It is tragic, particularly for those left. Plans half-made must now be forgotten and the hopes must be rekindled. Without men like Tim, plans and hopes mean nothing. Bruce clinched the Tasman Championship, the first title for Bruce McLaren Motor Racing Ltd, at Longford, March 3, 1964. 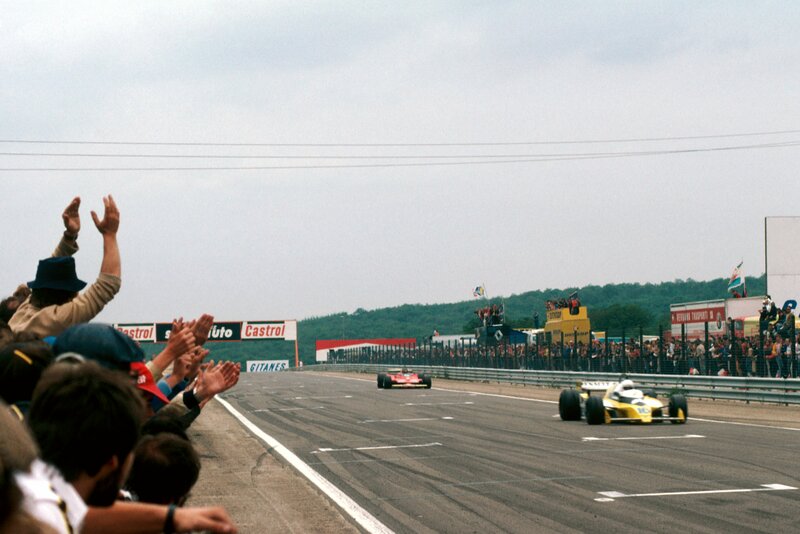 He missed the two preliminary races because of Timmy’s accident but in the feature he drove brilliantly from the back of the grid to finish second behind Graham Hill’s Scuderia Veloce Brabham. 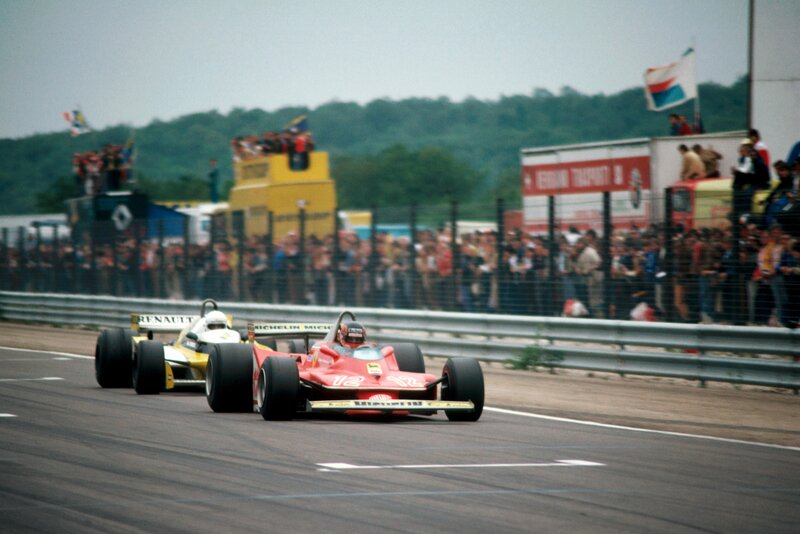 It was enough to give him the title by six points from Jack Brabham and Denny Hulme.